I’m here! Star Wars 7×7 is coming at you from Chicago ahead of Star Wars Celebration. Today’s episode, recorded outside Wintrust Arena and McCormick Place, features some of my last-minute advice for people coming to SWCC, and collections of advice from other folks, too. Punch it! 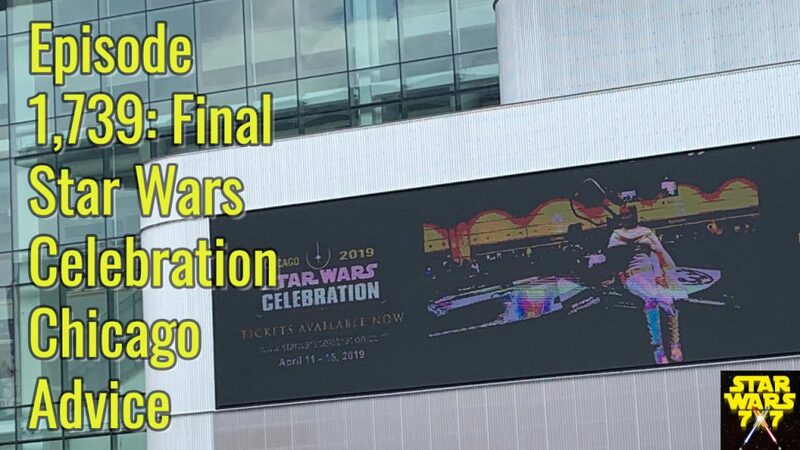 Also, here’s the link to Loose Canon’s compilation of Star Wars Celebration advice (including a bit from yours truly), and here’s the article on packing for Celebration I referenced in the show.